Let’s get one thing straight: Accessory dwelling units (ADUs) are not tiny houses. ADUs, most of them illegal, have existed in North American cities since the early 1900s, when owners of single-family homes would erect smaller structures on their properties as living space for extended family. Now ADUs are making a comeback, and they’re a far cry from the backyard shacks of more than 100 years ago. 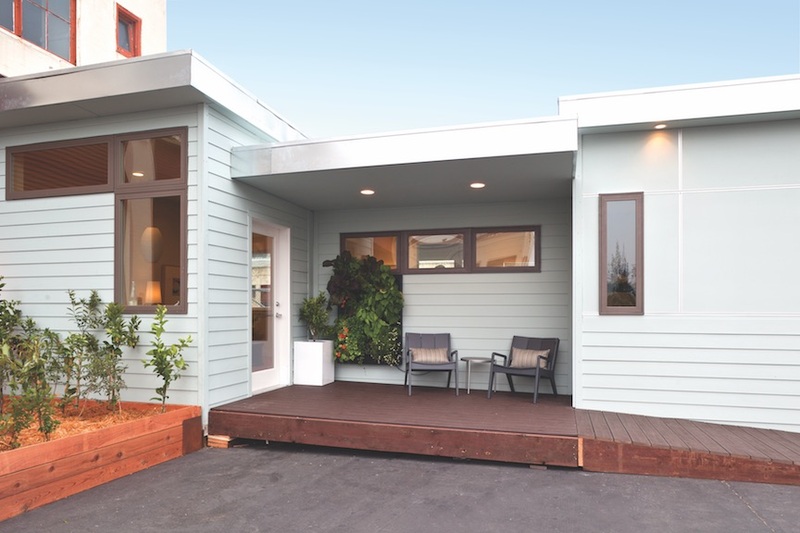 Legal, code-compliant ADUs have been popping up in the alleys of Vancouver, Canada, for at least a decade, and they can be found in locations from Tampa, Fla., to Minneapolis to Portland, Ore. They’re known by many different names including laneway houses, alley flats, granny flats, and in-law cottages. • Elderly parents or relatives can live in the ADU for significantly less than the cost of assisted living or a nursing home. 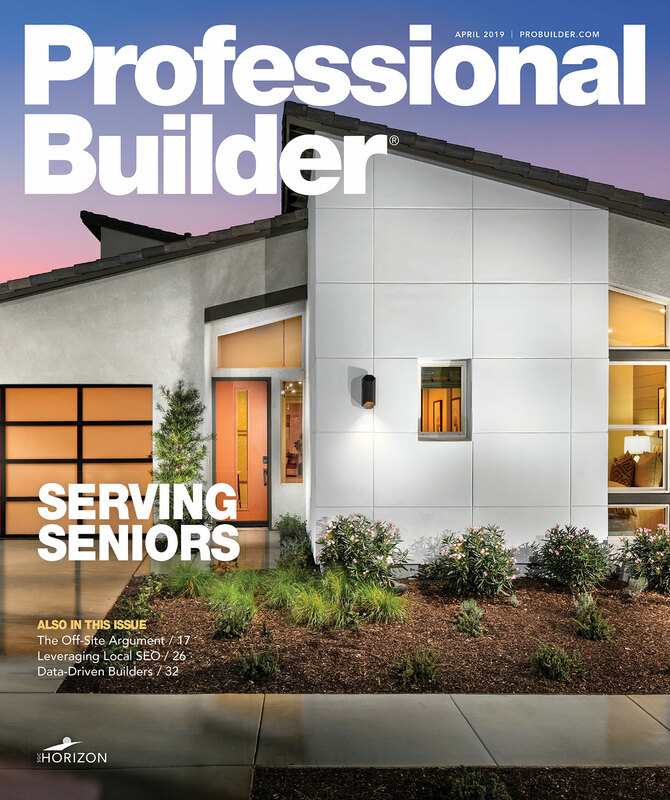 • ADUs can be rented out to provide additional income for the homeowner. • They’re an affordable alternative to renting or buying a condominium. • They’re a sustainable way to build because they utilize existing infrastructure. • They encourage the improvement and maintenance of existing residences and enhance property values. ADUs may be basement living suites or bedroom suites, apartments above garages, or detached structures, which are the focus of this article. Unlike tiny houses, which are typically in the 200-square-foot range, detached ADUs can be as large as 1,300 square feet with full kitchens and up to three bedrooms. 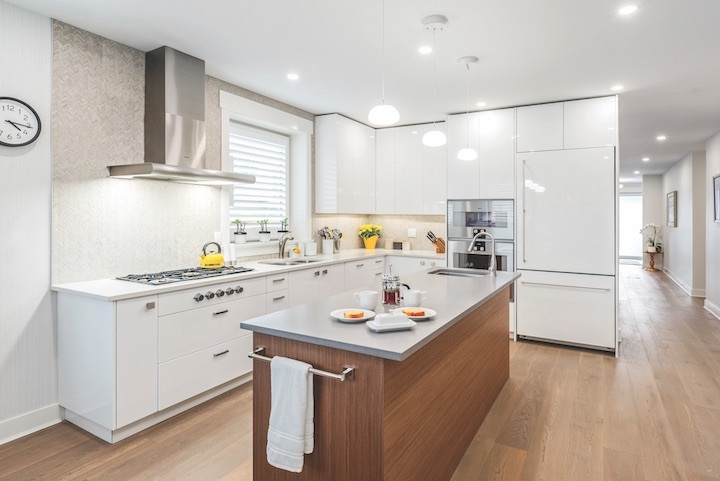 While there’s some repetition in floor plans and massing, each detached ADU is essentially a custom home, designed and built for a specific site and client. 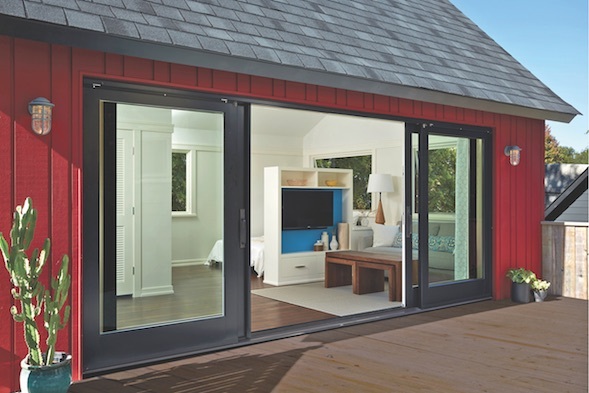 Home builders and designers are exploring ways to standardize ADUs, if not in design then in production, using modular and panelized construction. Cities where ADUs are currently permitted include Austin, Texas; Boulder, Colo.; Minneapolis; Portland, Ore.; San Francisco; Seattle; Tampa, Fla.; Toronto; Vancouver, Canada; and Washington, D.C. Other cities, such as Denver, are in the process of updating their zoning codes to make it easier to build accessory units. Strom worked with city zoning administrators during discussions about the code change and launched Second Suite shortly after the revised code was implemented in 2014. “Second Suite is about families pooling resources and enjoying more quality time together through care-giving that enables grandparents to help with child care and adult children to help with aging parents,” he says. And, according to Strom, Second Suite is also ideal as a rental, a home office, or a studio. But accessory units aren’t an inexpensive form of housing, especially in Minneapolis where frost footings are required. “You have to bring the plumbing and utilities from the main house into this unit, so there are infrastructure costs,” Strom points out. He notes that potential clients tend to think of an ADU as a tricked-out garage, when it’s actually more like a new house. Strom estimates that a 1,300-square-foot Second Suite would cost approximately $200,000. “It’s pretty tough to do for less than that,” he says. 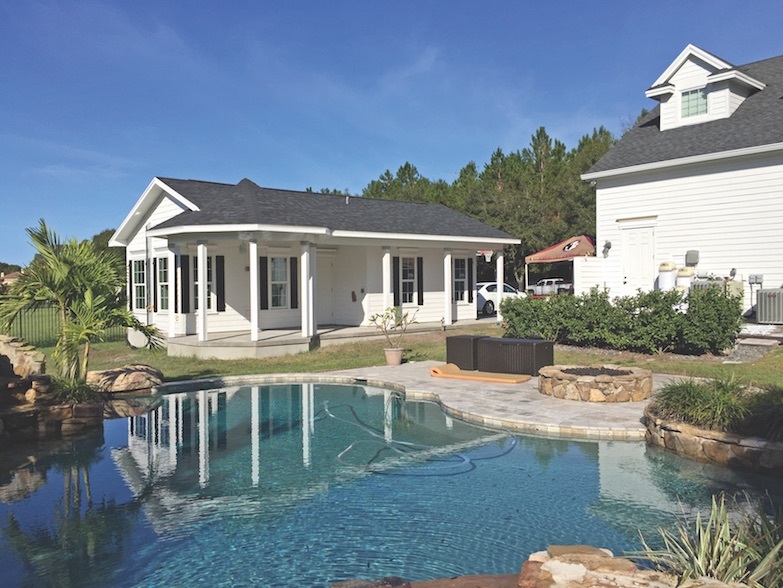 After a client converted a pool cabana into a small home for his grandmother, Tampa, Fla., custom builder Henry Moseley Jr. got the idea for Home Care Suites—accessible backyard cottages for older relatives that serve as an alternative to living alone or moving into an assisted living facility. Moseley and his son, Henry Moseley III, researched the idea for more than a year and worked with architects to develop a custom cottage that would be affordable and efficient and would meet the needs of elderly residents. “In rural Hillsborough County and Pinellas County, we’ve built 500-square-foot units with washer/dryers and kitchenettes,” the senior Moseley says. He adds that within city limits, 400 square feet is the maximum, but codes are liberal on setbacks. “If you want a full kitchen, you need to get a special-use permit, so we recommend that clients put in a Pullman-style kitchen with a sink and an under-counter refrigerator and expand it later if they want to,” he says. Moseley emphasizes that the cottages are just as much work as larger houses. It takes five months to build a Home Care Suite, one month to develop the contract and customize the design, and another month to obtain a permit. Sales prices range from $65,000 to $110,000 for a 440- to-600-square-foot cottage. The average price is about $90,000. Vancouver, Canada, is the third most unaffordable city for housing in the world based on the ratio of median household income to median housing prices, according to the 2017 Demographia International Housing Affordability Survey. Bryn Davidson, principal of Lanefab Design/Build, in Vancouver, says the city is physically constrained by mountains, the ocean, the U.S. border, and protected farmland. There’s no vacant property anywhere. Acknowledging the need for a new housing solution, Vancouver legalized ADUs in 2009, resulting in an explosion of freestanding ADUs throughout the city. The units are called laneway houses because they’re built on laneways, or alleys. Davidson says that, on average, 500 permits per year are issued. The ADU doesn’t have to be compatible with the architecture of the main residence, and only one on-site parking space is required. Building height is limited to 20 feet. The city considers a two-story laneway house a 1-½ story building, meaning that the upper floor must be smaller than the main floor and stepped back to reduce the structure’s apparent bulk, Davidson says. 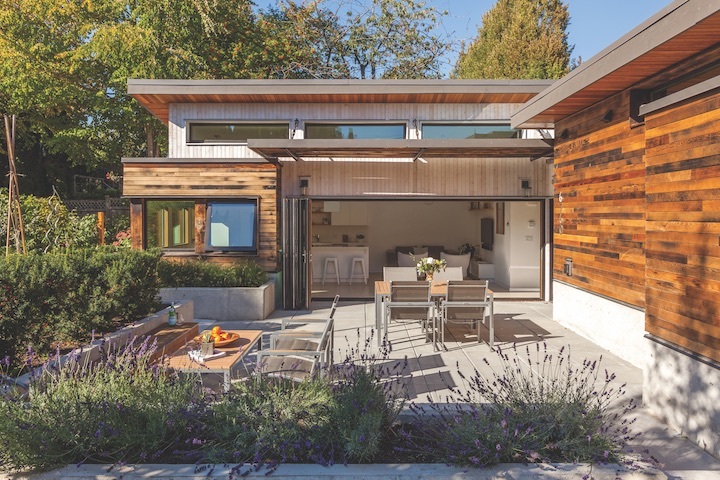 Lanefab has built about 65 laneway houses in Vancouver since the ordinance took effect. Most are used by extended family. “A lot of young couples [want to live] on their parents’ property,” Davidson says. “They can get a laneway house for one-half to two-thirds the cost of a similar size condominium.” Typically, Lanefab clients pay about $25,000 in permit fees. Add to that design fees, utility connections, landscaping, and construction costs, and the total cost is between $300,000 and $400,000—“pretty cheap by Vancouver standards,” Davidson says. “A new, 1,000-square-foot condo would cost $950,000, and there would be condo fees on top of that.” Lanefab’s projects are all custom and are built to a high level of energy efficiency with superinsulated walls, triple-glazed windows, and heat-recovery ventilators. They’re typically between 700 and 1,000 square feet with up to three bedrooms. The Inspired Independence cottages are accessible, to allow for aging in place. Different plans are available to fit the square-foot maximums set by the zoning amendments in various cities, such as the 538-square-foot Bungalow and the 490-square-foot Carriage. Shores thinks it’s an opportune time to push ADUs in the Bay Area, now that cities such as Berkeley have decided to adopt state mandates that allow homeowners to build the units “by right” if they meet certain standards. (In 2016, California Gov. Jerry Brown signed a bill making “granny units” easier and less expensive to build throughout the state.) Homeowners who live within a certain distance of public transit aren’t required to add parking, and there’s no lot-size requirement. Larson Shores has built several Inspired Independence cottages and is exploring different ways to prefabricate them. Panelization has worked well in some cases. “Now we’re moving to predesigned plans and letting people use local resources to get the best value in building them,” Shores says. ADUs have been allowed under the Portland, Ore., planning code since 1998, but the market really took off when the city waived impact fees for ADUs seven years ago. Portland issued 615 building permits for new ADUs in 2016, approaching the 867 permits issued for conventional single-family houses. “It’s just been increasing exponentially,” says Joe Robertson, owner of Shelter Solutions, in Hillsboro, Ore. In fact, business is so good that Robertson doesn’t build anything other than ADUs. Due to the scarcity of rental units in Portland, when a new ADU becomes available for rent, it’s immediately snapped up. 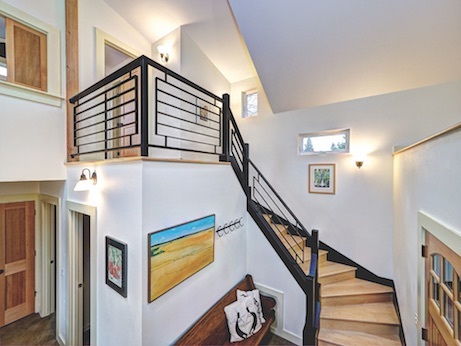 Some are used as Airbnb vacation rentals, but Robertson builds plenty of ADUs for homeowners who want to care for aging parents on their property, or for parents who want to live close to their adult children, but independently. “Any property zoned for residential qualifies for an ADU,” Robertson says, “but there are all kinds of restrictions.” For instance, the maximum size is 800 square feet or 75 percent of the living area of the main house, whichever is less. 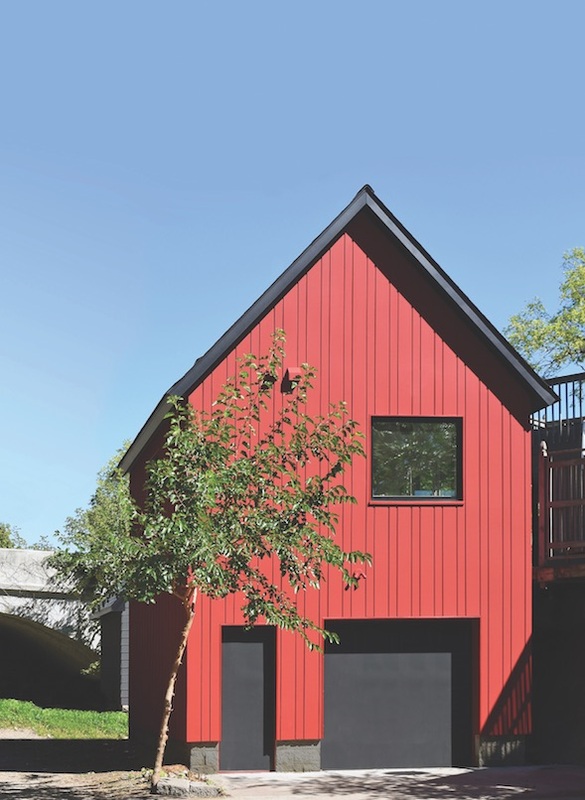 The ADU must look like “a mini version of the main house” with the same type of siding, roof pitch, window and door trim, and exterior details. Robertson built 27 ADUs last year and expects to do about the same number in 2017. Shelter Solutions doesn’t offer any standard plans—yet—because site requirements are too individually varied. “Last year the city modified the guidelines so that smaller, one-story ADUs could be built within 5-foot setbacks,” he says. “If the unit is under 500 square feet and no longer than 24 feet in either dimension, you can build up to the property line and as high as 15 feet. I’m developing prototypes that will fit those criteria.” Robertson estimates that a detached, 600-square-foot ADU would cost about $150,000, and an 800-square-foot ADU would cost $170,000 to $200,000. ADUs are flourishing in Austin, Texas. Permits increased from 30 in 2012 to 240 in 2016. But for low- and moderate-income households, the units being built privately are out of reach. The Alley Flat Initiative (TAFI) was launched to help those households. 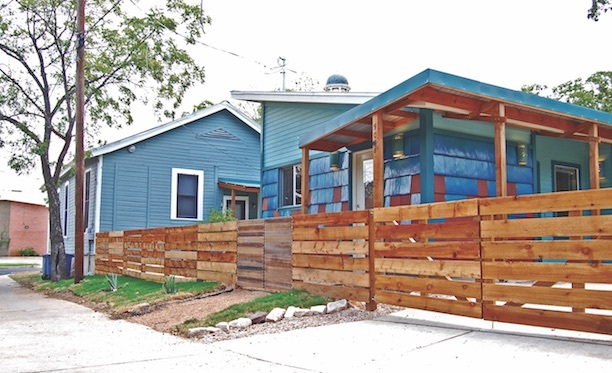 Created in 2005 by the University of Texas School of Architecture, TAFI is now a collaboration between the Austin Community Design & Development Center (ACDDC), the University of Texas Center for Sustainable Development, and Guadalupe Neighborhood Development Corp. A new ordinance passed by the city in 2015 changed the minimum lot size from 7,000 square feet to 5,750 square feet, creating more opportunities for eligibility in the program. The alley flats themselves can be up to 1,100 square feet. TAFI works with homeowners who agree to rent the alley flat at an affordable rate to an income-qualified household for five years. “We provide a number of incentives to entice [homeowners] to participate, such as reducing their up-front development costs,” says Nicole Joslin, executive director of ACDDC and TAFI’s program coordinator.